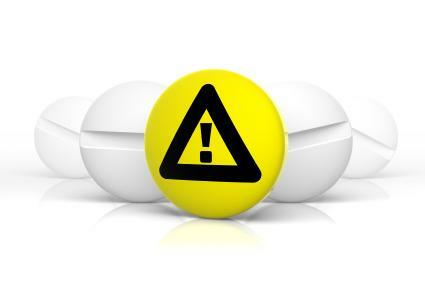 It may seem like an oxymoron to refer to the "dangers of dietary supplements," but excess doses can cause problems. Furthermore, the U.S. Food and Drug Administration doesn't yet regulate labeling of vitamin supplements, and there's no requirement for standardization of these products, so there's no guaranteeing what they really contain. Most of the time, the body derives more benefits from nutrients contained in food when a balanced diet is consumed. Some health situations warrant the consumption of dietary supplements, including certain illnesses, nutritional deficiencies, pregnancy, old age, bodybuilding, weightlifting or cutting calories to lose weight. Whenever you take dietary supplements, exercise due caution to be sure you are not unknowingly exposing yourself to unnecessary risk. While scientists have learned a great deal about how the body uses different nutrients, there are still many unknowns. The science of nutrition is a work in progress, and it's very possible there are important vitamins and minerals yet to be discovered by biochemical research, or contraindications that research has not yet identified. Additionally, your individual physiology can influence how you absorb and metabolize certain nutrients. This uncertainly creates a certain amount of risk when you undertake any new dietary changes. Just about anything can become toxic when consumed in excess, even things that are good for you in small doses. Taking multiple supplements or taking more of a certain supplement than recommended can result in larger intakes of vitamins and minerals than recommended daily allowances, and may lead to toxicity. Sometimes any dosage can be too much, which can be the case for people with food allergies. Vitamin C in excess 1,000 milligrams a day can cause stomach aches and other forms of digestive upset. Regularly consuming more than 2,000 IU of vitamin D can cause nausea, loss of appetite, constipation, vomiting, weakness and unhealthy weight loss. Excess calcium can cause stomach aches and kidney stones. An overdose of vitamin A can cause extreme fatigue, joint pain, digestive distress and skin or hair problems. Anticonvulsant drugs increase the breakdown of folic acid. Treatments for ulcers slows down the body's ability to absorb vitamin B12. Calcium supplements can interfere with the activity of certain antibiotics. Certain supplements can interfere with the absorption of others. For example, taking calcium and iron together will reduce the absorption of iron. For a healthy adult, it is normally sufficient to take one multivitamin daily, because it will have a fixed balance of nutrients. If you really feel the need to take more than one supplement at a time, consult with a physician, naturopath or pharmacist to be sure the combination works. To avoid any possible dangers of dietary supplements, speak to your health care professional about what supplements are best for you. To learn more about this subject, check out the U.S. National Institutes of Health's Office of Dietary Supplements website, along with the Health Supplements Information Services website.